Benedict XVI. Compendium: Catechism of the Catholic Church. Washington, DC: USCCB, 2006. John Paul II. Catechism of the Catholic Church: Second Edition. Washington, DC: USCC, 1997. Kevane, Eugene, trans. Catechism of Christian Doctrine: Published by Order of Pope St. Pius X, New and Enlarged Ed. Arlington: Center for Family Catechetics, 1980. Link is to the Msgr. John Hagan translation (1910); with slight modifications. McHugh, John A. and Charles J. Callan, trans. 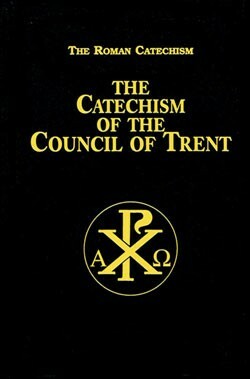 Catechism of the Council of Trent for Parish Priests: Issued by Order of Pope Pius V. Rockford: TAN, 1982.